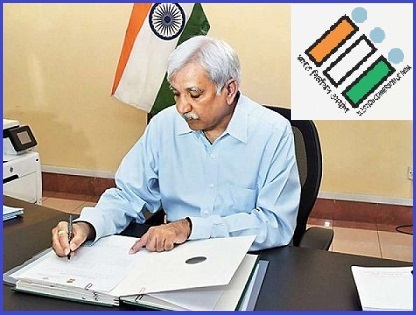 IAS Officer Sunil Arora became the new Chief Election Commissioner (CEC), he was appointed by President of India, Ram Nath Kovind on 26th November 2018. Sunil Arora will assume charge on 2nd December 2018, replacing OP Rawat who attained superannuation on 24 November 2018. Sunil Arora was previously brought in as the Election Commissioner in September 2017 to fill the vacancy created by former CEC Nasim Zaidi’s retirement. Sunil Arora will serve as a CEC in a term of 6 years or hold office until he attains the age of 65 years, whichever is earlier. Sunil Arora (62-years-old) is a 1980-batch IAS officer of the Rajasthan cadre, he was the skill development secretary before he was appointed as the top bureaucrat in the I&B Ministry. Sunil Arora has also worked in ministries and departments such as Finance, Textiles and Planning Commission and was also CMD of Indian Airlines for 5 years. Sunil Arora was one of the most trust-worthy officers of Vasundhara Raje during her earlier term as Rajasthan Chief Minister. He was her principal secretary from 2005 to 2008.